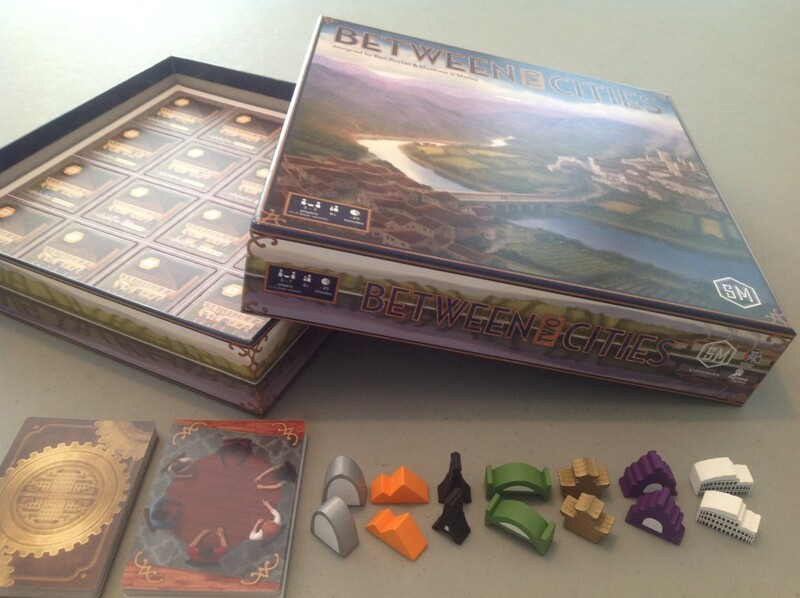 Between Two Cities is available from retailers and our online store. 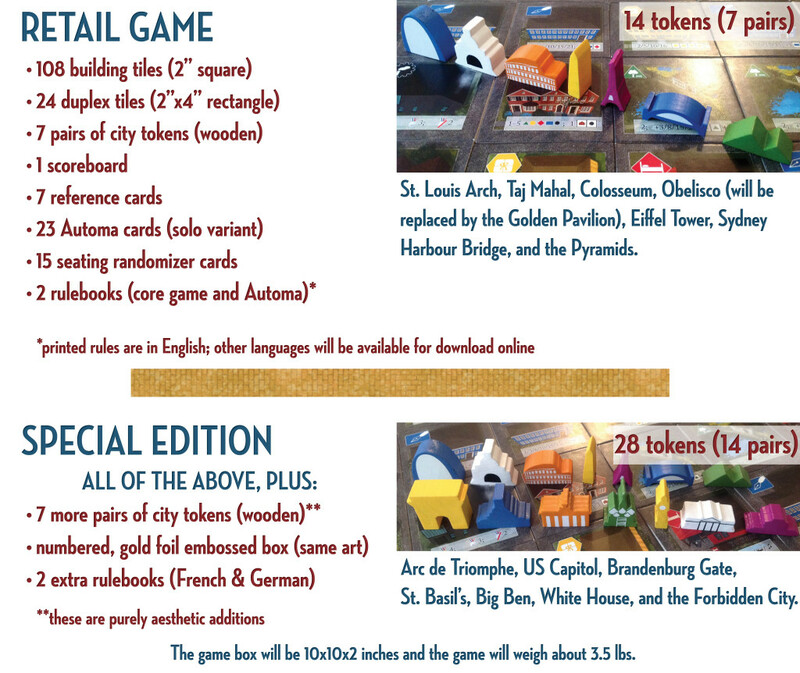 All copies include all stretch goals from the Kickstarter project. Jamey, did you break Kickstarter? I just got your email, clicked on the link, and KS won’t load at all. If it was just you, I think that’s incredibly awesome. I’ll check tonight. I don’t think we broke it, but the site has been down since 11:00 am CST. Hi Jamey- I haven’t yet received a link to the post-project survey to indicate how many games I want. Did I miss the link somewhere? I did not see it when I entered my credit card information. Charlotte: Thanks for your pledge! The project survey isn’t sent until after the project is over (I typically send it 1-2 weeks after the project ends). Thanks for the clarification! I just noticed the sentence about the survey at the bottom of the Kickstarter thank you e-mail. Jamey: Will Between Two Cities be available as an add-on for any future Kickstarter projects, or will all sales be through the store henceforth? Ian: All sales henceforth will be through retailers. Just as a general rule, we don’t sell existing inventory through our Kickstarter campaigns. Will the game be available at Essen this year ? If so, will there be a preorder option? I would say almost definitely yes, but it depends on our ability to deliver to backers before Essen. 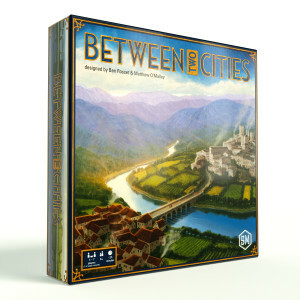 If we do, Between Two Cities will be available to buy at the Morning Players booth (and get it signed by the designers). There are speciale rules for the Extra Tiles received in Essen? Aron: They’re identical to the other tiles in Between Two Cities, except that the art is different. You can use either set as you wish. Shipping to the EU is either $9 or $19, not $30. Perhaps I missed your country. Where do you live, Asgard? Got it! Good catch. It’s fixed now. Not so good catch….I am trying to finalize order from yesterday for special edition…now you have fixed shipping and they are sold out …..
How can you miss Italy? Tuscany and Viticulture!!! It was just a data-entry mistake, Asgard. I know Jamey…..unfortunately you miss a sell also…..and one customer….